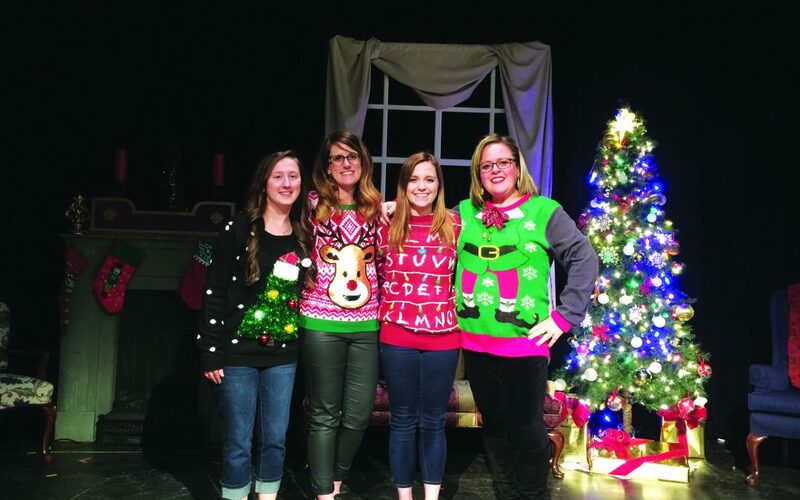 The Guadalupe County Child Welfare Board Supporters (GCCWBS) are adding some “ugly” to the holidays again this year with their 2nd Annual Ugly Christmas Sweater Dinner Party. The event starts at 6 p.m., Thursday, Dec. 6, at The Stephen & Mary Birch Texas Theatre, located at 425 North Austin Street, Seguin. Linden stressed that the event benefits GCCWBS—a 501c3 entity—and not the Guadalupe County Child Welfare Board (GCCWB) itself. The distinction is important. The two Boards have identical personnel and both work with children and families already being serviced by Texas Child Protective Services (CPS). GCCWB, however, is funded by county government, while GCCWBS is funded by donations and events like the Ugly Christmas Sweater Dinner Party. GCCWB, Linden explained, formed GCCWBS as a means of supplemental funding for goods and services that can’t be purchased through GCCWB. GCCWB is limited to items that directly benefit the child—clothes, diapers, food, mattresses, Christmas presents and other items. This year’s Ugly Sweater proceeds will help computerize GCCWB’s “Rainbow Room” at the local CPS office. This room, Linden explained, is a round-the-clock resource center stocked with both GCCWB and GCCWBS supplies. The room is accessible to CPS caseworkers 24 hours a day, 365 days a year, making it an invaluable resource for neglected and/or abused children. Clothing, school supplies, diapers, formula—all these and much more are available in the Rainbow Room. “The Rainbow Room is a critical resource,” Linden said. For more information on the 2018 Ugly Christmas Sweater Dinner Party, email childwelfareboard@gmail.com, call 830-660-4857 or visit www.gccwb.org.